In the feature published by THE WEEK, there are several small pieces by many guests, besides some stuff written by staff writers from Bangalore. In typical modern journalistic fashion, the magazine presents “both points of view”, that is to say, material that is complimentary and also material that is critical. I will not go into all of that but would like to stick mainly to an article by a well-known award winning writer and social activist from Bangalore named U. R. Ananthamurthy. Ananthamurthy hails from a traditional background and acknowledges that his parents paid their respects to Swami. But he himself is cast in a different mould, and, pained by the deep inequities that existed [and in some measure continue to exist] in Indian Society, Ananatamurthy has been continually registering his disapproval and protest through his various writings, novels and speeches. In the special issue of WEEK that I mentioned earlier, Ananathamurhty has a piece – actually, it is not an article by him as such but an “as told” piece, that is to say what Ananathamurthy said to a staffer. I would now like to deal briefly with the topic of Avatars and how people react to them. Here, I have found a very strange phenomenon. I know of many who are ready to accept Rama and Krishna as Avatars without batting an eyelid, but when it comes to Swami, they dismiss Him summarily. I am sure these people all have their own reasons but I always wonder: “How come they accept as Avatar both Rama and Krishna whom they have never seen, but are unwilling to accept Swami who can be seen?” Perhaps these persons accept that Rama is God and that Krishna is God, because they have heard that frequently from their parents, right from childhood. Maybe that is all there is to it. 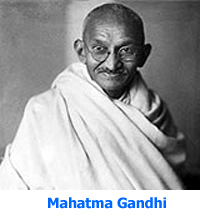 This raises a fundamental question: “Who is God?” Many answers have been given over thousands of years by sages and philosophers in all lands, but I like best the definition given by Gandhi. I have quoted this often and I hope the reader would not mind if I quote the same one more time, because it is so pertinent to what I am discussing. 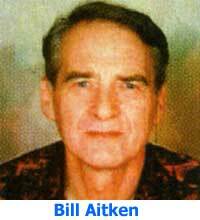 Gandhi said, “He is no God who merely satisfies the intellect. God to be God must rule the Heart and transforms the senses. He is LOVE.” Now I ask you. Does not this definition fit Swami like a glove? Swami was hardly known at that time, and the proud Vedic scholars took a dim view of the Rajah inviting a “young and unknown upstart”. As happened on such occasions with Swami, the Vedic scholars were soon put in their place when they realized that Swami knew far more about the Vedas than all of them put together. How far is this defence valid? We can get a better appreciation of it by considering an everyday example. Let’s say there are two people watching a glorious sunset. 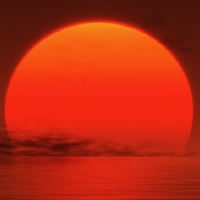 As you know, the Sun turns deep red as it goes down the horizon. This is due to what is known as the Tyndall effect, and students of Physics know all about it. No dispute there. But just consider this. I say the Sun appears red, because I experience a sensation thanks to the eye-brain combination, and I describe this sensation by saying that the appearance of the Sun is red. The red colour I see is a sensation within me. Another person watching the sunset would also say the Sun appears red. He says so because of the sensation within him. But then, how do we know for sure that the sensation that I experience is exactly the same as the sensation he experiences? This is not a silly question; on the other hand it is an important and non-trivial question. To make clear what I mean, let us go back to the sunset. If a spectrometer were to be directed towards the Sun, it would show a spectrum with a strong peak at a frequency that we would describe as red. 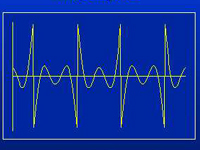 The spectrometer would just generate an electrical signal and a graph – that is all. On the other hand, the sensation of seeing a red colour is a property of the senses. It is connected with an EXPERIENCE that a living entity has. Experience and life are thus intimately connected, and Science, as presently structured can never address these aspects of Creation. In turn this means scientists can never get answers about God when all doors are shut; that is to say, it is not meaningful to either “deduce” or reject God via Science. It is like trying to talk about the third dimension, living in a two-dimensional world. Consider a biologist. 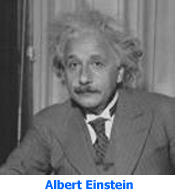 Most biologists would not know much about the theory of relativity although almost everyone would know that it was Einstein who gave that theory. Ask a biologist, “Do you believe in the theory of relativity?” He would promptly say yes, even though he has not studied it and in fact knows practically nothing about it. How come? Because he has faith in Einstein. Another argument that scientists often give is that in Science one can prove laws through experiments. Newton’s laws can be proved by experiments and indeed first year students do this all over the world. More complex laws like that of electro-weak unification require billions of dollars for setting up the equipment, and at the end of it, the law can be proven, as did Carlo Rubbia. Citing all this, scientists often say that you cannot prove the existence of God in this manner. This is where I disagree. Most intellectuals, scientists being prominent among them, try to explain all that we see through the “Head” alone but when it comes to God, the “Heart” HAS to come into the picture. The Heart being BEYOND the Mind, the tools of Science will not work; instead, we need the tools of meta-science or meta-physics, if you will. 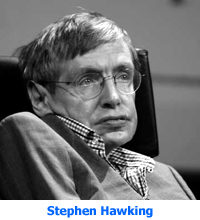 It is at this point that the modern physicist loses patience, makes his sarcastic comments and withdraws with the feeling that those who believe in God need to be pitied rather than censured. In passing I might mention that most of the problems faced by humanity today are caused by the Head, and if we are serious about finding solutions to them, we HAVE to go beyond the Head to the realm of the Heart. This, incidentally, is the core of most of Swami’s Discourses, and this is where Spirituality becomes most essential. Intellectuals, I am afraid, hardly appreciate this. Ananthamurthy goes on: “I like certain things about Sai Baba. When BJP leader L.K.Advani went on a Rath Yatra, Sai Baba is believed to have said, why build Ram temple at Ayodhya when he is present everywhere. [This is a reference to Advani, a politician, who made a political issue out of the construction of a temple for Lord Rama at Ayodhya, the birth place of Rama.] I appreciate his drinking water and healthcare initiatives. One more thing I like about him [Sai Baba] is that he is not an English-speaking person.” Ananthamurthy is of the opinion that English has done much harm to the various Indian languages, relegating almost all of them to a second-class status. His parting line is: “The land that gave birth to great people like Gandhi and Ramana deserves better.” In my view, this casual remark makes it abundantly clear that Ananthamurthy’s thinking is highly flawed and superficial. He says that he finds it laughable when Swami says He is God. But he seems to conveniently forget what Swami adds, namely that we also are God. 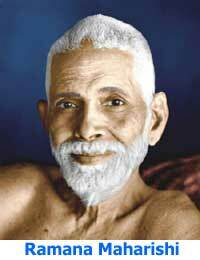 Ananathamruthy praises Ramana Maharishi. That is the way it should be; but does he remember Ramana’s perpetual question? Does he not recall that Ramana invariably asked every one to examine the issue: “Who am I?” As we know very well, Swami too has discussed this topic in so many of His Discourses. 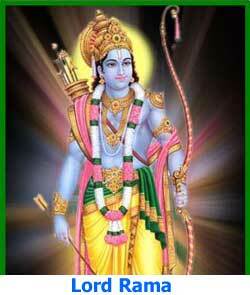 Let us focus on this question: “Who am I?” What does Ramana say about this? He says that every human being is really Divine. Swami says the same. So, if you and I are God why cannot Sai Baba be God? Or is it that Ananthamurthy is not prepared to accept this fundamental teaching of Ramana whom he holds in such high regard? Changing gears let me now make a few spiritual arguments, starting with Swami’s observation that a human being is a combination of the gross body, the subtle Mind and the immortal Atma. Combining the three letters M [for Mind], B [for body] and A [for the Atma], Swami sometimes jocularly says that everyone is a MBA! For convenience, let me use the word Head for the Mind and Heart for the Atma. 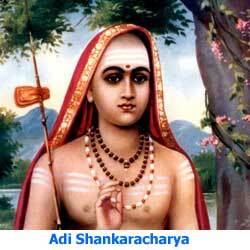 In this Sloka the Blessed Lord essentially says: “Repose steadfast faith in Me and think of Me always. I shall then carry your burden entirely.” The second Sloka that I hold to be relevant is [18.66], wherein Krishna declares that he who totally surrenders to the Lord would be fully redeemed. If we keep these two key declarations of the Krishna Avatar in mind, then we would realise that often times Swami is really testing us about the quality of our surrender. Devotees, especially while in the euphoric state inside the Interview Room, declare ecstatically, “Swami, I have surrendered to You.” However, seldom is this a serious statement. As Swami often tells students, “People say they have surrendered their Mind to Me. Yes, they give their Minds to Me but only for a few seconds. They take it back when they go out of the Interview Room!” Though said in a light-hearted manner, there is profound truth in this statement. All of us are highly prone to deposit our Minds with the proverbial monkey rather than entrust it to God for safe custody. Now if we so-called devotees have so much problem with the Mind, how much more difficult it would be for the intellectuals? People ask: “Why does God have to test us? Does He not know where we stand? Why can’t He help us? Why all this test business? It is so unfair.” I would like to respond with a direct personal experience of mine. Swami looked at me sternly and replied, “I know how many were absent but do you know?” I hung my head down for I actually did not know how many were absent. Swami was sending me a signal that as the VC, I had better know more about what was expected of me. People have been asking from time immemorial, questions like, “Why did Rama banish Sita to the forest, especially after having made her go through fire earlier? Is this not gross injustice?” My response to this is the following: If you and I who have come thousands of years after Rama and Sita know her to be pure and chaste, would not Rama, who was supposed to be God incarnate have known that? We must have the faith that God never does anything without a purpose. I maintain that Rama was actually establishing certain norms for people in high places, for all times, especially during this Kali Age. To stress my point I would like to point out that there was some years ago, a well-known politician, hailed by all as an upright man; he even rose to become briefly, the Prime Minster of India. He had a son, who throughout the political career of his father exploited his father’s high position to make all kinds of shady deeds. The whole world knew about it, but the father consistently turned a blind eye, not withstanding the frequent discourses he gave on the Ramayana! If this politician had read his Ramayana right, he would have learnt that Rama banished innocent Sita to stress that even if a relative is blameless, one must have nothing to do with that person, in order to establish high standards of probity. In short, here was the Avatar, who, as a part of His drama was teaching a lesson and instead of learning it, humans are passing judgement on Him as if the Avatar was just another human being. This digression into the business of testing is needed because this is something unique to the Avatar. With due respect to them, saints like Ramana and Ramakrishna do not do this. 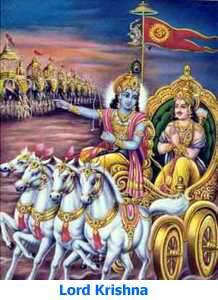 God alone tests because it is to God alone to whom we must totally surrender; and when we do, He will take full charge of us as He has assured in the Gita. Thus, this testing game goes on constantly to pick out the winners and separating them from those who have to try more. Intellectuals will never understand this and people like Ananthamurthy would be totally perplexed by many of the things that Swami does. Indeed, all who “see” with their Heads would have this difficulty and end up dismissing Sai Baba. 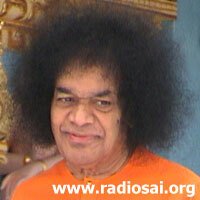 God, as Swami often reminds us, can never be understood but only experienced. Ananathamurthy has correctly identified three key phenomena of the twentieth century: “hunger for social justice, hunger for spirituality and hunger for modernity.” According to him, all these three go together. Ananthamurthy then goes on to describe how these three hungers have manifested and who has done what about them. I have no argument with any of these. But he makes all these remarks as if Swami has done nothing about them. On the contrary, Swami has shown how starting from Spirituality, one can indeed solve most of humanity’s problems, including social injustice, besides blending the best of today with the best of olden times as He has done in His Institute for example. But Ananthamurthy, it seems, knows hardly anything about it. Let us start with social justice. Many fight for social justice through agitations. Swami rejects that approach. He concentrates instead on transforming individuals and sensitising them. In the long run this is the only workable approach. Take caste discrimination or race discrimination. One can pass all the laws one wants to prevent these but in the ultimate analysis it is people who have to change and give up prejudice. That can happen only when there is a change of Heart, and change of Heart, I maintain, can never be brought about through agitations, or legislation or the cudgel. Ananthamurthy talks of the hunger for Spirituality. Yes there is such a hunger, and when that is taken care of, problems of poverty, problems of hunger, etc., can all be mitigated in substantial measure. That is what this Avatar is all about. It is great pity that Ananthamurthy does not have one single word to say about Swami’s infinite Love and how Pure Love can solve all man-made problems. Does Ananathamurthy, or for that matter any so-called intellectual in India, know how much Seva the old boys are doing silently in many places in India throughout the year? Do they know that every time the old boys gather here, they not only run medical camps in the neighbouring villages but also go out at night and cover street-sleepers with blankets? Do they know how our old boys (past students of the Sathya Sai University) went to Jammu and Kashmir to help quake victims there, against great odds? I would like to know of one University or College in the country [other than Swami’s] whose alumni reached out in such a fashion. Maybe they wrote cheques but did they actually go there and serve the victims? However, we did not react in the way most people expected us to, but respond we did, in our own way though. I don’t wish to go further into that. But I thought you might be interested to know what was said by one of the writers who contributed an article to the special issue of THE WEEK that I alluded to in the beginning. The critics are so intemperate in their dislike that their vituperation now comes across as almost near comical in its predictability. Nothing that Baba can say or do meets with their approval. If he provides drinking water to thirsty villagers, they scent a scam but if doesn’t provide drinking water, he is anti-poor. ….. Probably because of the intensity of their hate, when it comes to a serious, forensic examination of their allegations, they resort to bluster and evasion instead of hard facts. Smearing sexual innuendo is a traditional ploy but on failing to substantiate their charges, the critics switch to another unrelated subject. 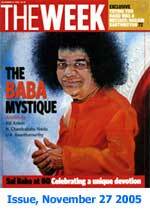 They will claim that all of Sathya Sai Baba’s materialisations are phoney. 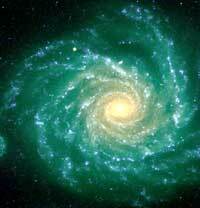 However, this cannot stick, because millions have witnessed the outpouring of vibhuti at Shivarathri. So then, financial irregularities are imputed to the saint, and when these are likewise found to be unproductive of scandal, mafia happenings are evoked. ……… The strategy of the critics seems to be that if sufficient mud is thrown, some might stick. ……….. The latest in these so-called exposes is the BBC documentary whose agenda was so predetermined to denigrate Baba that it stooped to the unethical use of a spy camera. In a last farcical gesture, the producer hired some roadside entertainers to attempt to simulate Baba’s chamatkar [materialisations]. The result is so ludicrous that it leaves the viewer wondering as to who is funding this bizarre display of hostile reporting. The BBC is ultimately governed by the Anglican establishment, and churches in the west are losing out financially to the appeal of the Sai Baba movement. As a commercial broadcaster, the BBC’s opting for sleaze would have the dual advantage of discrediting a rival as well as getting a good audience rating. The Church of England can have no objection to programmes that weaken perceived threats – like the Papacy or Hindu holy men – to its declining influence in the world. Posing as a lion in Asia, the BBC is a mouse in Britain. It dare not criticise public icons like the Queen, who happens to be the supreme of the Anglican Church. Some of you might say, “Listen, you are supposed to be a scientist, are you not? What about you? Were you ever on the other side of the fence, and if so, how did you come over to this side?” I have, I believe, described all this in one of my radio talks; even so, the present occasion warrants a brief statement. Yes, a long time ago, I was on the other side of the fence. However, I did not deny God nor did I denigrate Swami. I just remained indifferent to Swami; He was, so to say, not in my radar screen. And then when the time came, Bhagavan Baba pulled and strongly too, with a few telling traumatic experiences. I took it near the window of the Interview room and tried to see what was on the billet but could not see clearly since I did not have my glasses on. 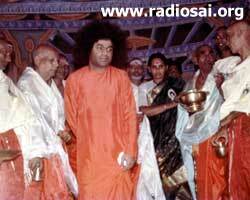 Swami then made some teasing remarks and said, “This billet shows the Cosmic Form of the Lord. 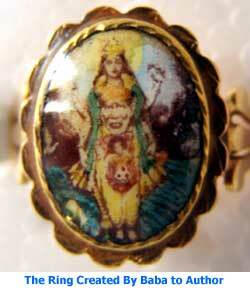 Embedded in it are the forms of Shirdi Baba and Swami. I have left some space for Prema Sai also. 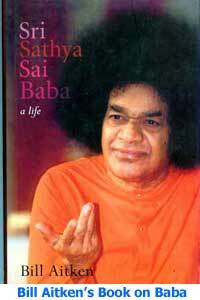 Shall I include Prema Sai also?” We remained silent, stunned by the experience. 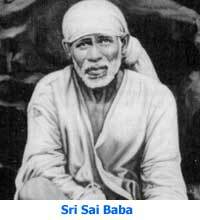 He then smiled and said, “No I shall not include Prema Sai because you faithless fellows would desert Me and go after Him!” We all laughed. Swami then took the billet, held it near His mouth and started blowing on it. I thought He was going to make it disappear; instead, it became a full-fledged ring, shining brilliantly! Swami held it high showing the ring to all of us, even as we were dumbstruck. He said, “A goldsmith would take fifteen days to make a ring, but I have done it in less than fifteen seconds!” He then asked me to stretch my right hand. I simply could not believe myself. In this world where there were so many wonderful devotees, Swami was giving this extra-ordinary ring to me of all persons. But then that is God. As Ramakrishna Paramahamsa once said, “Nobody can say who will receive God’s Grace. There may be very eligible people, but the Lord, for reasons best known to Him, may choose someone far less deserving.” Very true indeed, as I can say from personal experience.